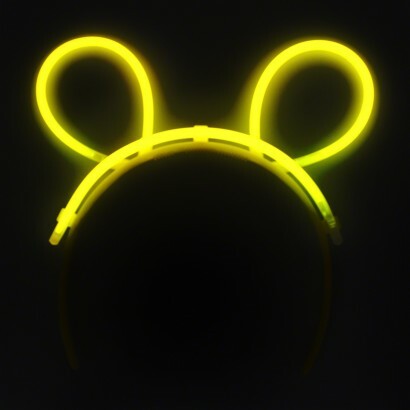 Cute hands free glow and lots of fun, these glowstick bunny ears are perfect for party goers not matter what your age! 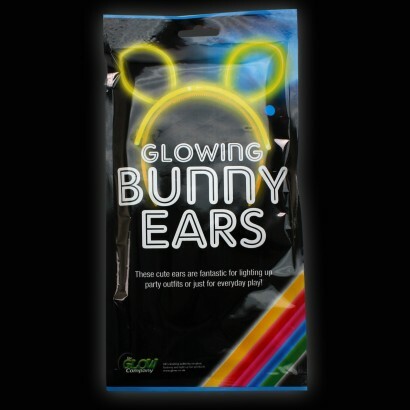 Each individually foil wrapped pack contains a flexible plastic headband and three eight inch glowsticks. Easy to assemble, place the glowsticks in the fixtures on the band and you have a cute pair of bunny ears that will glow for up to eight hours!